1. A Personal Touch. Taking the time to pick out a gift you think the couple will enjoy receiving and also having it monogrammed or personalized in some way makes it even more special. Almost anyone will appreciate a personalized gift that will add a touch of their own personality to their life. The gift becomes a gesture of appreciation and shows you truly put some thought into it. 2. Has a Functional Purpose. 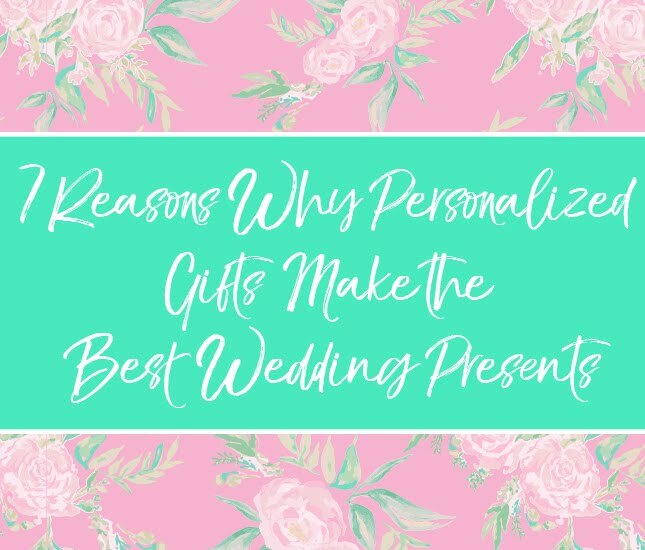 Many personalized gifts can be used every day, so they won’t just sit in a closet collecting dust after the wedding celebrations are over. Whether you end up giving the couple a set of monogrammed coasters, a towel set, or wine glasses, they’re going to make full use of the items in everyday life—or bring them out for special occasions. This makes them both a thoughtful and useful gift. 3. Frequent Reminder of You. Whenever the recipient uses the gift you gave them, they’ll be reminded of you, your thoughtfulness, and that special time in their lives. Being able to evoke those positive memories can strengthen your bond and relationship in a subtle way. 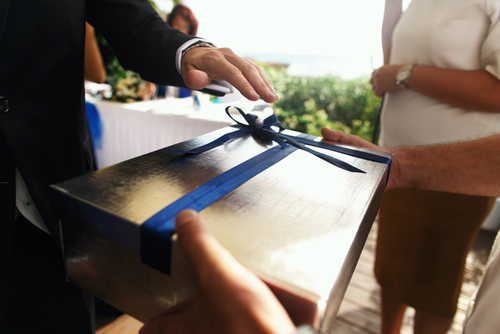 The recipient will always remember you for the gift and for attending their wedding events. It’s a fun way to stay in a person’s life, even when you are not with them all the time or even seeing them regularly. 4. Becomes a Part of the Home. Depending on what type of personalized gift you give, the item can become a part of the decor and the recipient’s new home together. You might be giving them a new barware set, monogrammed throw pillows, or a monogrammed doormat to spruce up the place. Your gifts will become a part of the home, which can make it a timeless gift they will enjoy for many years to come. 5. Not Replaceable. When you’ve taken the time to find a gift you know the recipient will enjoy, and then also made the effort to have it monogrammed or personalized, that gift is truly designed for the recipient. In many ways, it’s an irreplaceable gift and may even end up being one that the recipient doesn’t part with easily. They’re less likely to re-gift it or leave it in a closet for years to come because it has their own name or initials on it. 6. Always a Surprise. Giving someone a gift that they feel was designed for them is always a welcome surprise. 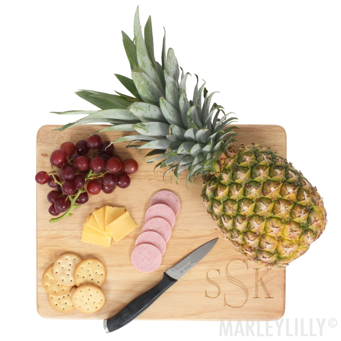 Imagine their surprise and delight when they open up a box with something as simple as a wooden cutting board that’s been monogrammed with their initials or a pretty picture frame that has their initials engraved on it. Simple gifts like these can make a big impression on the recipient—and keep you in their heart and mind for many years to come. 7. Suitable for Couples. Sometimes it’s just tricky to find a special gift for both the bride and the groom when shopping for wedding presents. You might not know either of them very well, or you might know one person more over another. Whatever the case may be, you can shop for personalized couple’s gifts that will make them both feel special and appreciated during their Big Day celebrations. From monogrammed housewares to stylish bags and accessories, you can give a personalized gift that will be well-received by both the bride and the groom. Personalized gifts aren’t just a good idea for graduation or birthdays. Giving a gift that has been personalized for the recipient shows you care and nobody else will give the exact same gift. Adding a thoughtful touch to wedding gifts means they will cherish the gift along with the memories of their special day. 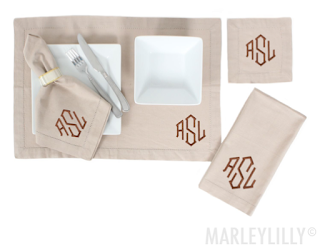 From clothing and accessories to housewares and decor, consider giving monogrammed gifts to the bride and groom to make their wedding celebration just a little more special.